Sylvia is one of Australia’s leading wedding & cocktail Harpists who can add that unique touch to any special event with the enchanting ambience of the Harp. With an extensive repertoire ranging from classical and jazz, to the latest popular tunes, Sylvia will no doubt create the perfect atmosphere for your guests. Sylvia holds a Bachelor of Music in Performance on the Harp and many years of experience. She has acquired not only the technical expertise and professional training, but also the flair and presence that is associated with first class performers worldwide. Sylvia is also an accredited member of the Australian Bridal Service so you can be assured your guests will be entertained by one Sydney’s finest musicians. 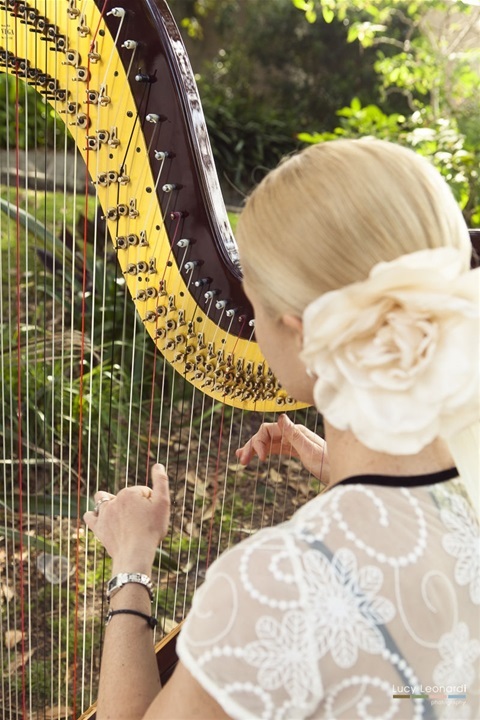 The Harp is indeed a versatile instrument and can be amplified for larger groups or venues. Ideal for Weddings (church or garden ceremonies), pre-dinner drinks and corporate events.